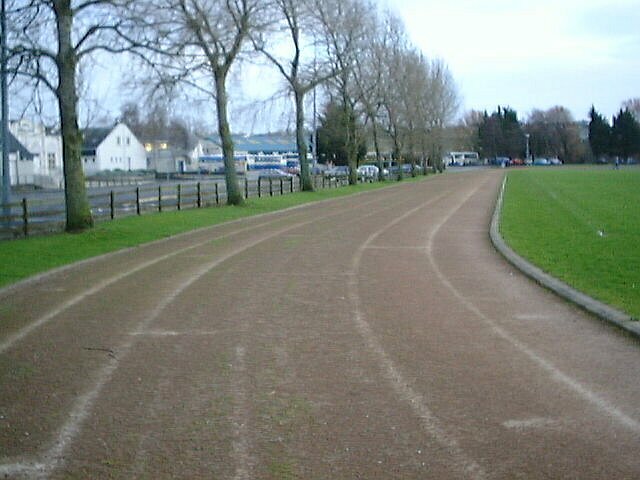 This is a redgra track and is in good condition and the lanes are marked. The adjacent Fermanagh Lakeland Forum which is a Leisure Centre with a swimming pool was opened on 23rd May 1976 by William J. McBride MP but not sure if the track was also built then. It certainly did not exist 1963 as it is not an aerial picture of Enniskillen fronm the time. The track may be referred to as being at Broadmeadow Playing Field as that is the name of the area on which the Leisure Centre, track and other pitches are situated.